One of the many interesting projects to arise in Christchurch over the past few years has been Rekindle, which began as a means of trying to recycle materials from their post-earthquake state of their demolition. At the Arts Centre 8-17 November, their latest initiative, Necessary Traditions, offers a week with a wide range of demonstrations and workshops, including several highlights for the textile crowd. 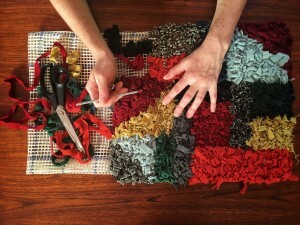 Vita Cochran will be visiting from Sydney to pass on her grandmother’s rag-rug practice. This centuries-old craft developed out of necessity when textiles were expensive; now it offers further options for otherwise landfill-bound fabrics. Vita is of course well known for her handbags and other objects, which are held in collections across NZ. At the main weekend festival event, Vita will be sharing the making of a large communal rag rug, before taking workshops during the following week. Louise Clifton will be bringing the Shoe School to Necessary Traditions, with presentations during the weekend, and three day-long workshops making sneakers from leather sourced as offcuts from local businesses from the 12thNovember. If you’re after something softer for your feet, Simone Bensdorp of Wild Felt is offering workshops on making slippers using natural, undyed, New Zealand wool and traditional felting techniques. Wool felt making is the oldest known way to make fabric simply by combining wool, soap and water. The Christchurch Guild of Spinners & Weavers will run an evening ‘Fleece to Fabric’ workshop on Thursday 15 November, which will involve working a local Canterbury fleece and coming to understand the whole process from fibre preparation, spinning, making a skein and then on to making a finished item. Hilary Tapper & Kuva Zakheim are running a ‘Create your own Storytime Doll’ with screen-printing, block printing and sewing using hand-crank and foot-treadle vintage sewing machines and upcycled fabric. Kuva grew up with art conservation and eastern spirituality; he will also be sharing the traditional Indian art form of hand block printing. Self taught seamstress Sylvia Houston established RAG – Repair Alterations Garments – to help people get more use out of the clothes that they already own. Among the ways she’ll share her practice is a textile twine making workshop, in which existing scraps of material and old clothes are turned into a beautiful length of twine. 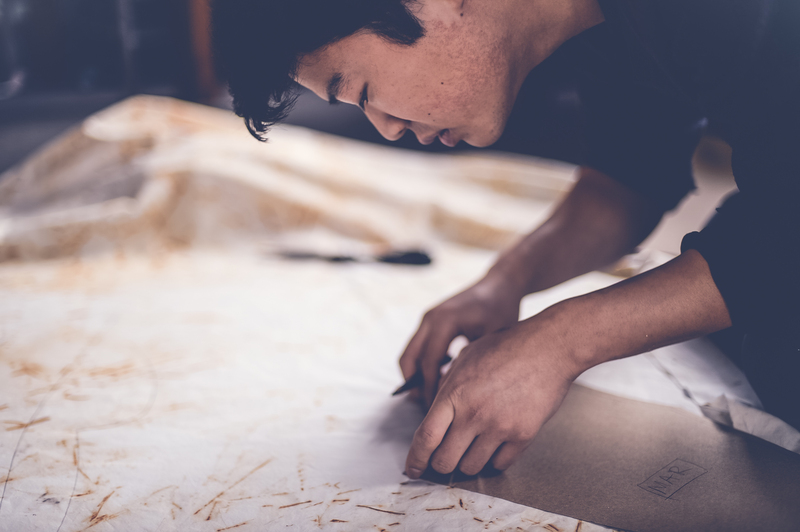 Steven Park of 6×4 also features reused, natural dyed and local found materials in his making of a range of objects. His workshops on darning and handmaking buttonholes are already sold out. There’s also beeswax wraps, fabric dying, various kinds of weaving and that’s just the fibres: also other repair and recycling options in a great programme for anyone who is or can be in Christchurch that weekend. If you’d like to be involved, there’s been a call for volunteers https://www.rekindle.org.nz/blogs/news/would-you-like-to-support-the-necessary-traditions-festival-as-a-volunteer. This entry was posted in Artists, Christchurch, Craft, Festivals, Heritage, Sustainability, wool, Workshops. Bookmark the permalink.